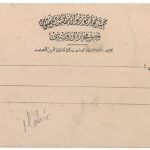 Khalili Collections | Hajj and The Arts of Pilgrimage | Official Hijaz Railway.. 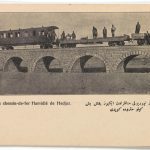 This postcard entitled ‘Vue du chemin-de-fer Hamidié de Hedjaz’, depicts a stone bridge on the Hijaz railway, 275km outside Damascus. 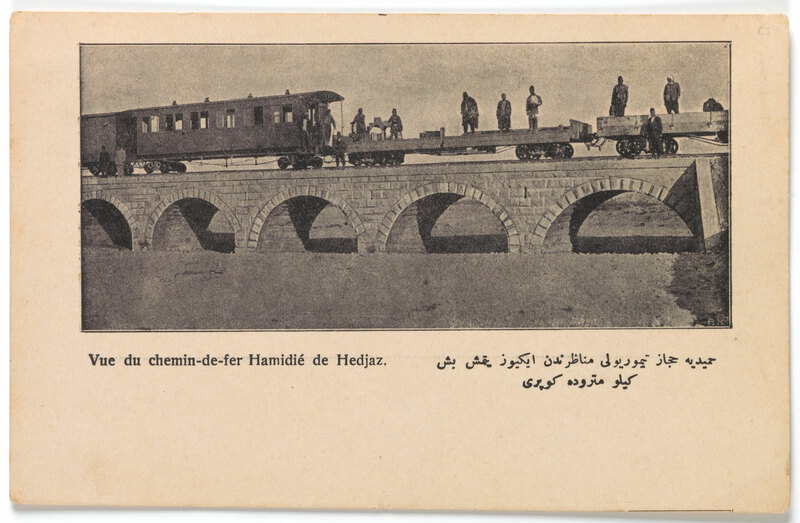 The Ottoman authorities commissioned postcards amongst other German-made products, in order to generate yield for the financing of the Hijaz Railway construction.